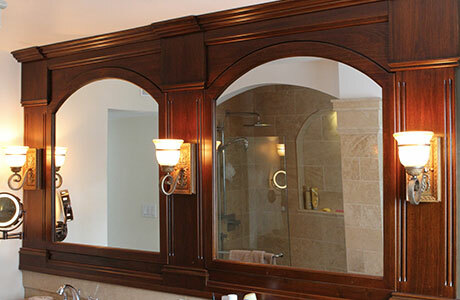 Millwork, Custom Doors and Woodworking Trim - Joe Coholic Custom Furniture Ltd.
We can manufacture any style of custom door – interior or exterior – in either a solid wood paint grade, or in any hardwood you choose. Raised panels, flat panel (Shaker style), etc – there is no limitation. Custom glass inserts are also possible. We can fabricate and install all kinds of custom railings, with our own turned components that can be made to your specifications. Interior moldings – from base boards, door jambs and casings, window sills & trim, etc. Any type of molding is possible and we can do almost any type of profile – with custom matching older, existing profiles one of the special services we offer. For any other custom woodworking trim you require – just contact us to discuss.